About us - Mark Brown French Polisher. Traditional French Polishing. Mark has worked in French polishing and antique furniture restoration for over 30 years, both in the UK and abroad. As well as providing these services to the trade, general public, and interior designers, he is also a successful antiques dealer, most recently as director of Brown's Antiques Billiards & Interiors. 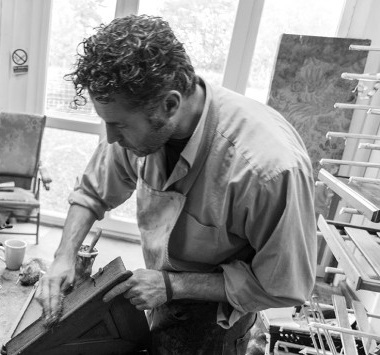 Mark specialises in antique furniture restoration, and traditional French polishing of antique furniture and pianos. He also provides a complete restoration and re-polishing service for antique snooker tables.